Even just a month into the school year, it has become apparent to me that the college process is beyond grueling. Deadlines and percentage rates are always on your mind and, until you're into school, it's hard to think about anything else. That being said, I thought it would be interesting to take my readers (who are around my age) along through this struggle with me! What fun. I have some ideas for future parts of this series (like visiting, interviews, essays, etc. ), but feel free to leave some suggestions in a comment. Let's do this seniors 2k16!!! 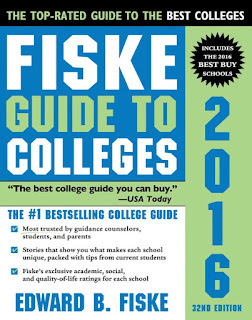 Fiske Guide to Colleges: This college guide gives you an honest and clear cut image of any school in it. Fiske places each college in context and highlights the school's distinguishing features. 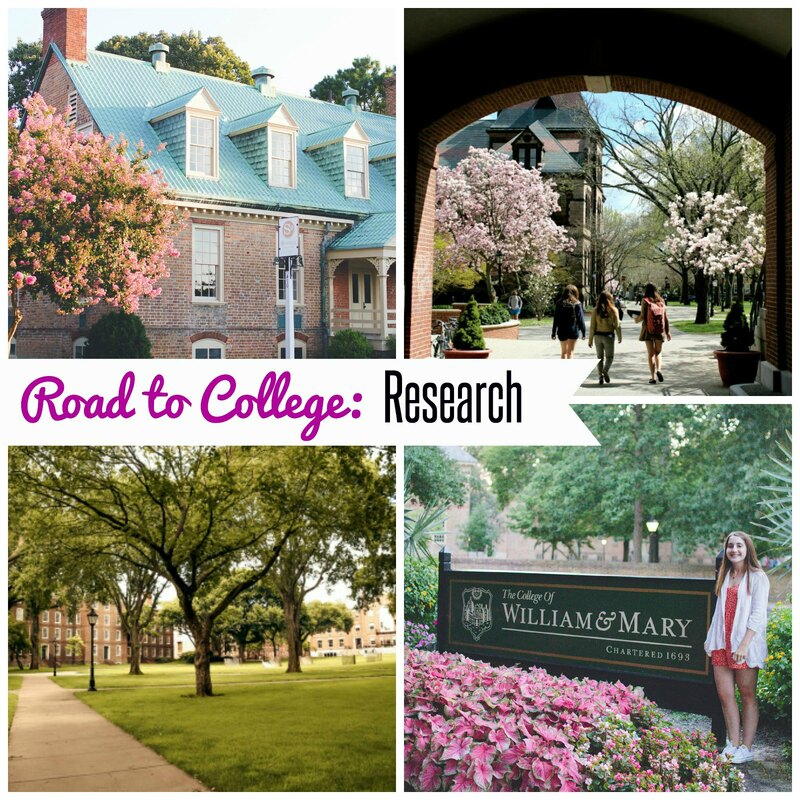 For each entry, Fiske gives a list of "overlaps," competing colleges that share the same applicants, which is helpful information during the discovery phase of a college search. Fiske opens each college's entry with a summary paragraph that seeks to distill the unique essence of the college, often by differentiating it from its peer institutions. My college adviser suggested this book to me, and I would highly recommend it. 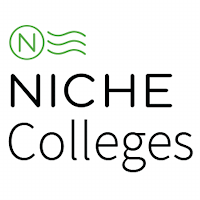 Colleges.Niche.com: This website organizes aspects of each college into categories, from admissions to greek life to weather- the list goes on. The information posted is from actual students, whether they are a new freshman or a recent alumnus, giving you varied perspectives. Students tend to give honest and raw opinions that most pamphlets or brochures won't. If you're not looking to purchase an actual book but still want to do your research, this place is your go-to site. For an overview of a school, refer to the "Overall Experience" section to get a quick sense of how students view their school. 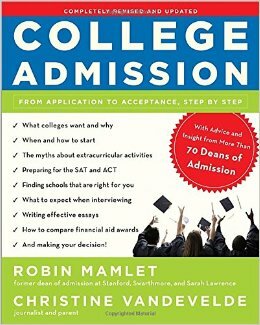 College Admission: From Application to Acceptance, Step by Step: This book offers a very thorough collection of chapters laying out every facet of the college application process. 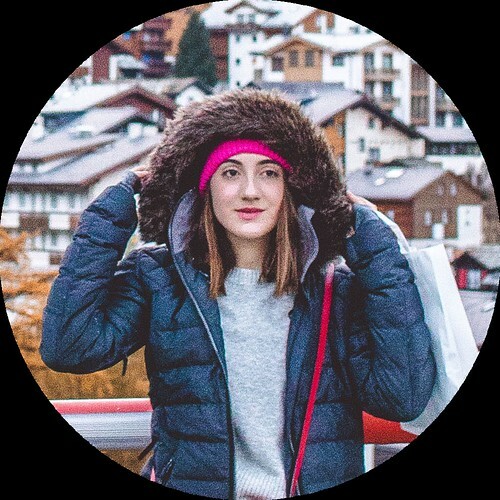 This guide gives you tips like how to tackle the interview, what to do with each new draft of your essays, when your parents need to back off, and even what it means to find a college that's the "right fit". Each section includes a checklist, and answers potential questions you may have, whether they concern deciding early or regular decision, what to ask in an interview, or even what you should eat before a standardized test. 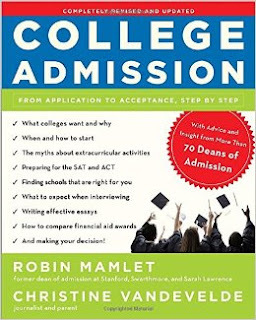 In addition to the logistics, this book includes quotes from actual deans of admissions and how they view certain components of a prospective student's application. I would only recommend this book if you're up for some deep reading- if you like quick facts and easy reading, the Fiske guide has shorter summaries.